make sure you are getting the most out of your suspension. on the ground. Remember, if you are 3 wheeling around corners, you just lost 25% of your traction! ST Sport Shocks are designed exclusively for lowered vehicles featuring our advanced valve tuning targeted at controlling the higher spring rates associated with performance lowering spring. 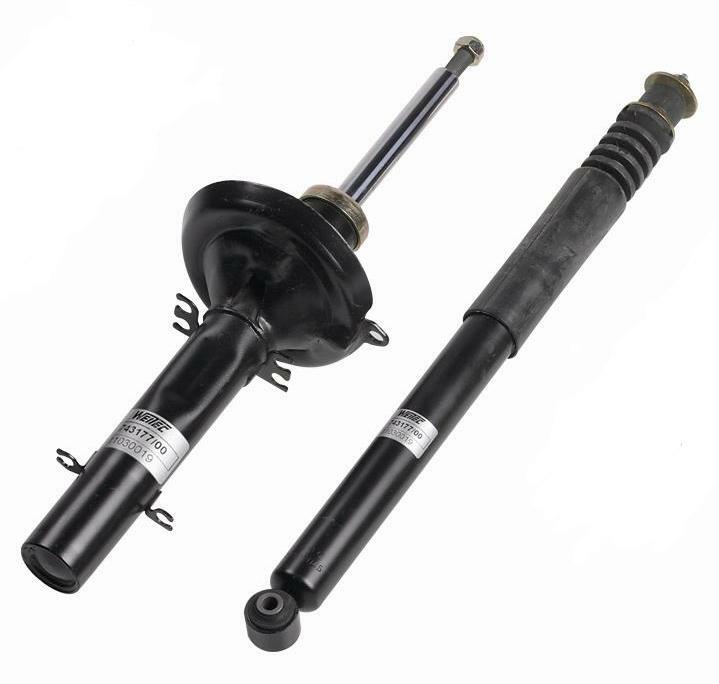 Our shortened or reduced rebound travel optimizes the piston stroke of the shock absorber guaranteeing a balanced chassis under any circumstances. With the ST sport shocks on board, you can carve the canyons in comfort, style and safety.